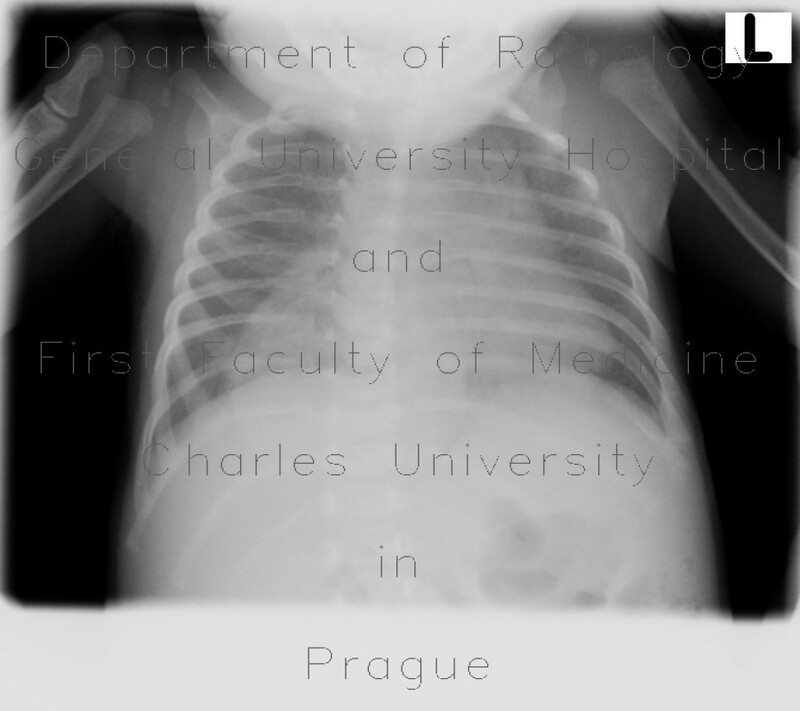 This CT was performed in an infant, who had recurrent pneumonias, to rule out any anomally. However, it showed a large mass arising from the posterior mediastinum at the level of hiatus and behind the heart. The mass contained coarse calcifications and was surrounding the descending aorta.